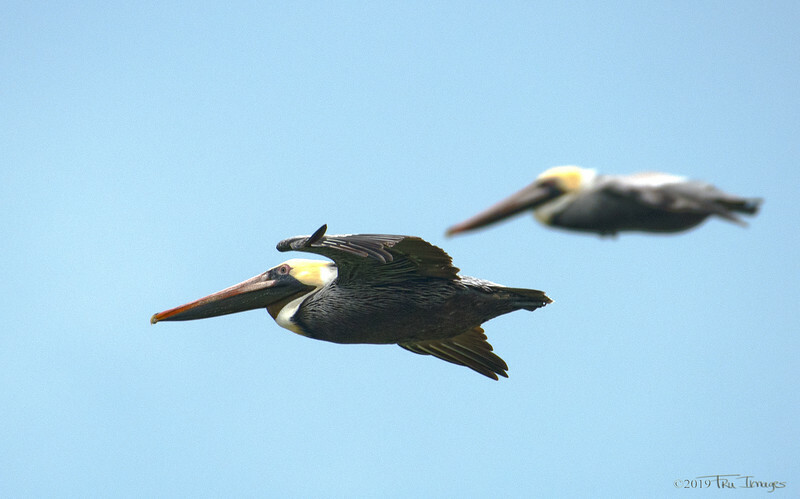 A brown pelican and its wing man glide effortlessly through the skies. I love to see them singly or in groups, gliding just above the water. They make it look so easy!